When the leaves start to change and there’s a chill in the air my craving for comfort food goes in high-swing. 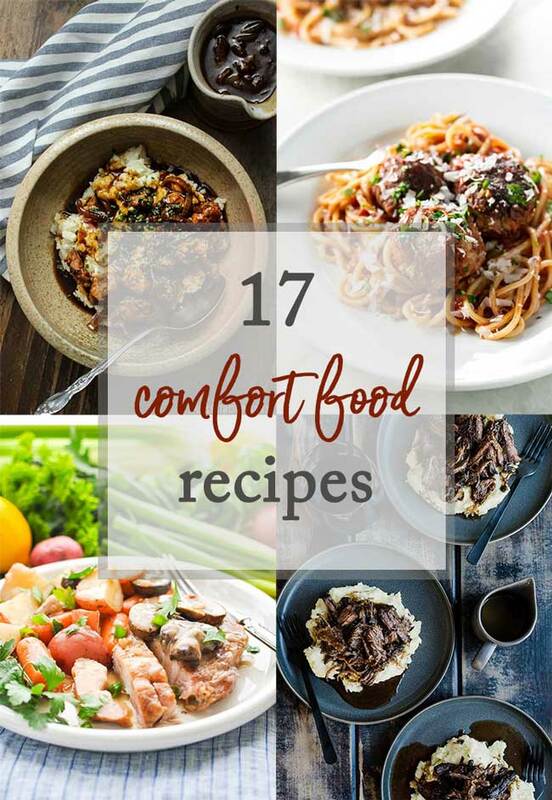 During the cold winter months, it’s good to have a few cozy recipes on hand to pull out on the chilliest of nights, so here are 17 amazing comfort food recipes that will help keep you warm all winter. 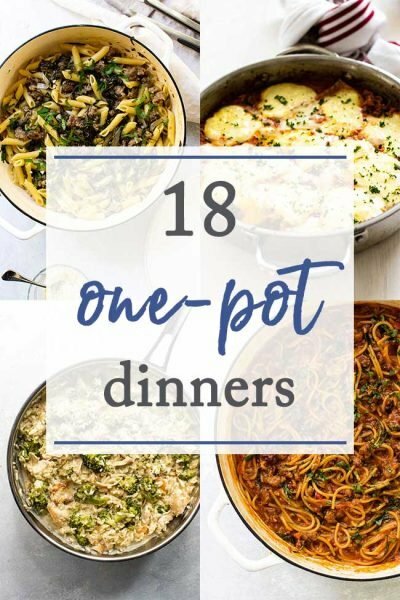 There’s a little bit of everything: old favorites like pot roast and chicken pot pie, but with an updated twist and classics like baked chicken alfredo that never go out of style. I hope you find a new favorite! Click on the photos or recipe titles to get more details about each recipe! 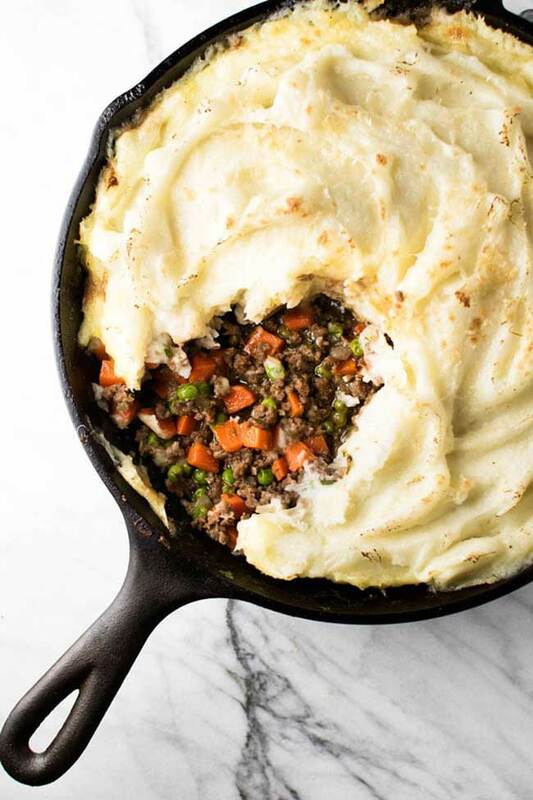 SHEPHERD’S PIE – Girl Gone Gourmet | Traditional shepherd’s pie (or cottage pie, depending on where you’re from) is made with lamb, but this version uses ground beef. It’s classic comfort food and a favorite cold weather dinner. Make it in a cast iron skillet for a full-on rustic experience. 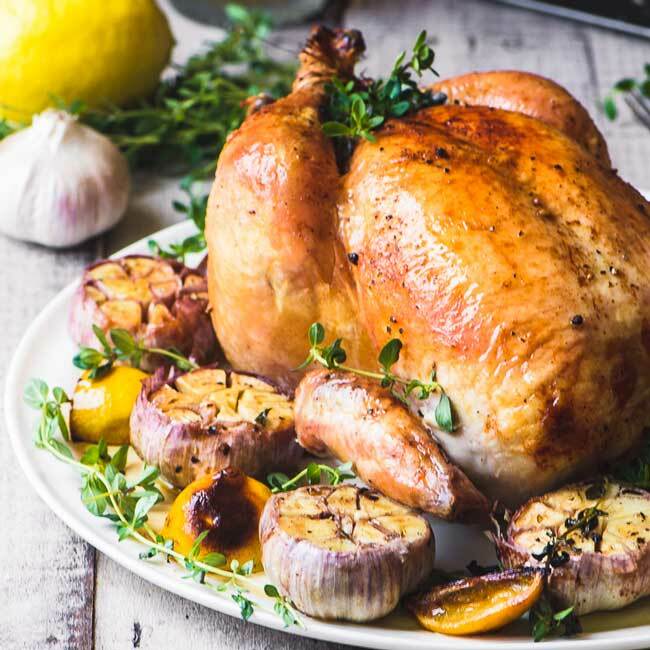 ROAST CHICKEN WITH GARLIC – The View From Great Island | You really can’t go wrong with roast chicken. It’s fairly easy to do and, as you present your golden roasted bird at the table, you might think you’ve transported into a Norman Rockwell painting. 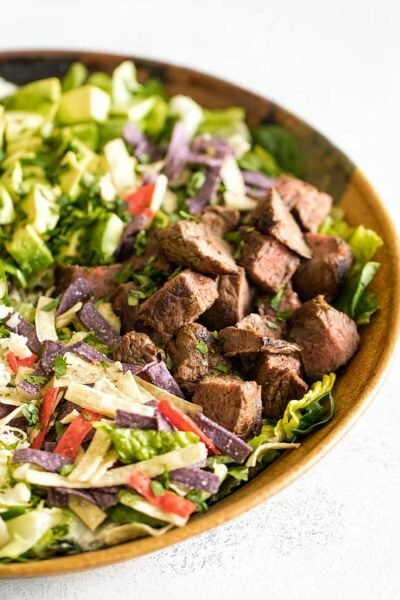 I love the purple garlic that Sue used in this recipe – according to her post, it’s great for roasting. The recipe calls for a lot of garlic, but once it’s roasted you can use it in all sorts of ways. 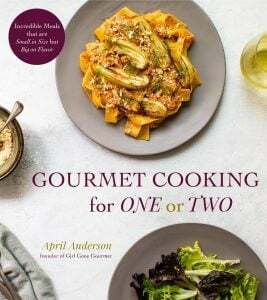 Use it like you would raw garlic in other recipes – the caramelized cloves are so delicious. PERFECT SPAGHETTI BOLOGNESE – Don’t Go Bacon My Heart | Like a lot of delicious things, this bolognese has some bacon and red wine. And now that I’ve typed that last sentence I don’t think there’s more to say because anything with bacon is a winner in my book. Case closed. You should make this bolognese. 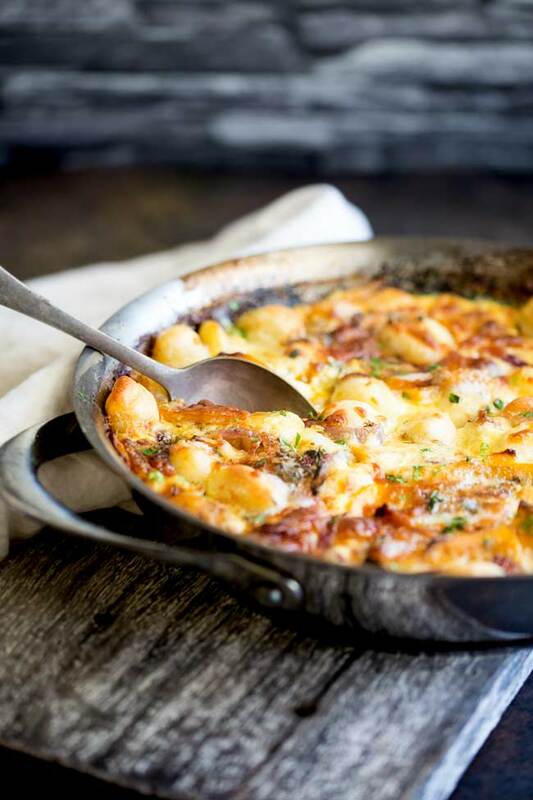 TARTIFLETTE – Girl Gone Gourmet | This is my version of a classic dish famous in the French Alps. 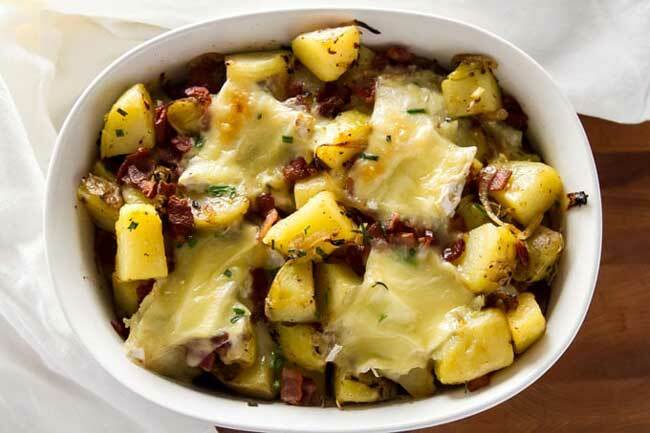 Living and playing at high altitudes makes for big appetites and the French nailed it with this tartiflette made with potatoes, bacon, white wine, and cheese. It will warm you up on a cold winter’s day. 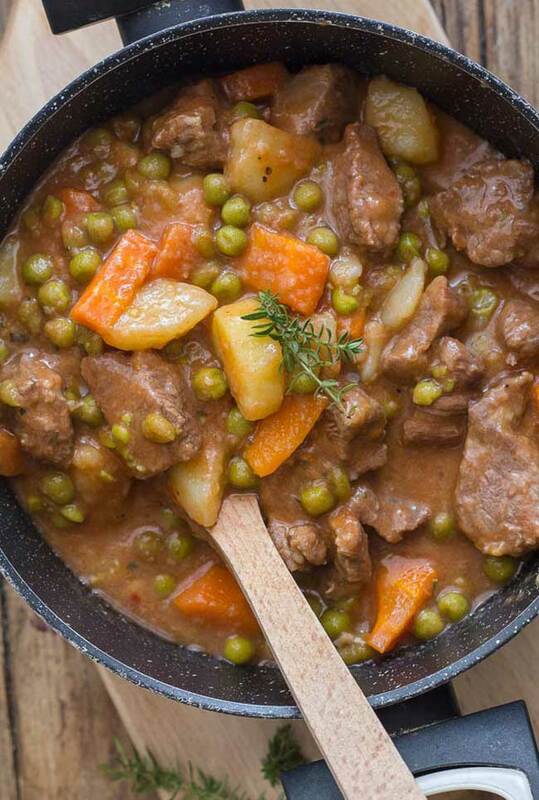 CHUNKY THICK ITALIAN BEEF STEW – An Italian In My Kitchen | Imagine this: a slow and lazy Sunday with nothing else to do but simmer a savory beef stew on the stove. Sounds like a great Sunday, right? Well, Rosemary has the recipe for you. Looks like the perfect cozy supper. 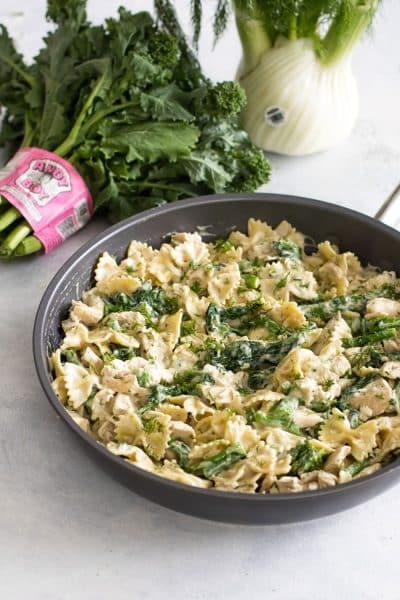 CHICKEN ALFREDO BAKE – Make Ahead Meal Mom | What’s better than a comforting baked pasta dish? 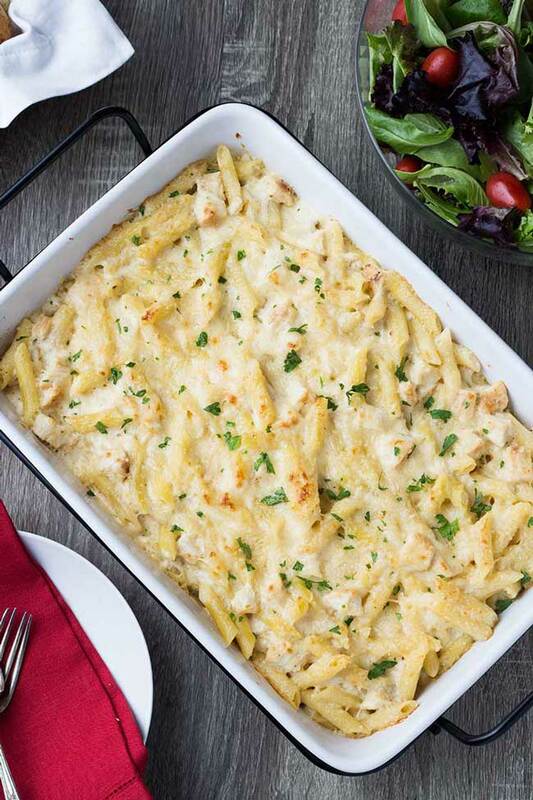 Oh, I know – a baked pasta dish that can be made ahead like this chicken alfredo bake. It has chicken and pasta in a rich and decadent alfredo sauce – looks like a big hug. BISCUIT TOPPED CHICKEN POT PIE – Souffle Bombay | I love this updated pot pie. 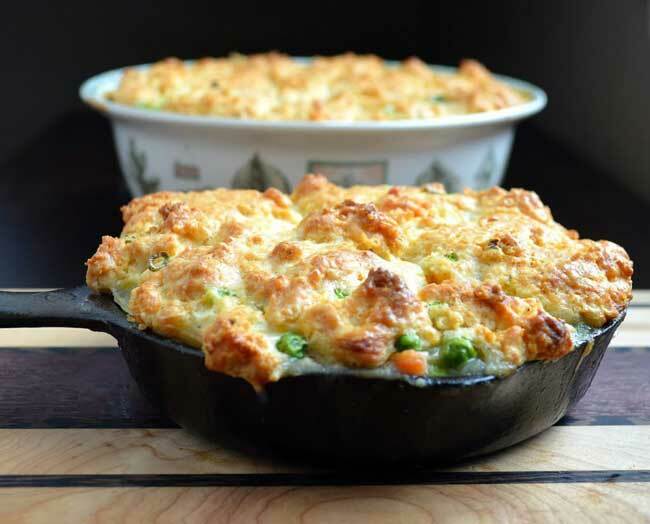 The filling is pretty standard – chicken and veggies in a creamy sauce – but the jalapeno and scallion biscuit topping takes it over the top. Also, it puts a store-bought rotisserie chicken to good use to help cut back on the preparation time. 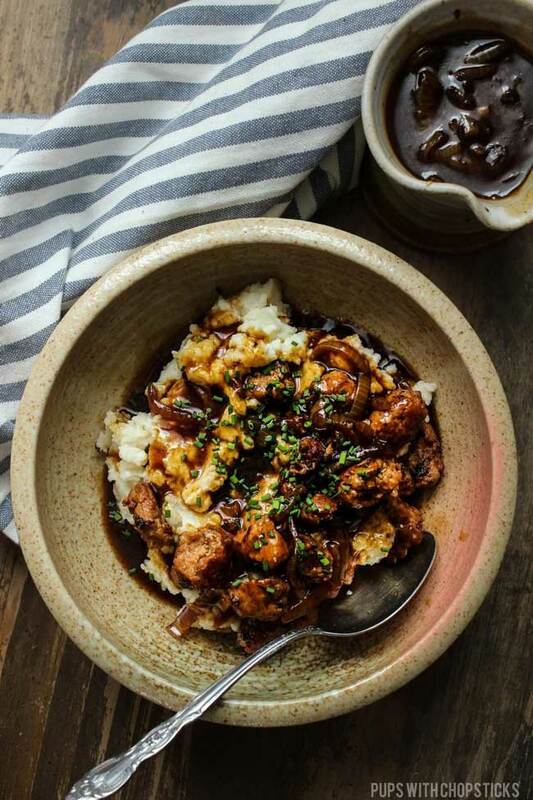 Even with the homemade biscuit topping, this cozy dinner is ready in under an hour. BAKED PUMPKIN GNOCCHI WITH THYME & PARMESAN – Sprinkles & Sprouts | Another baked dish but this time with gnocchi, fresh pumpkin, fresh herbs, and two kinds of cheese. Plus, all you need is one pan and less than 15 minutes hands-on time to get this bubbling hot dinner to the table. 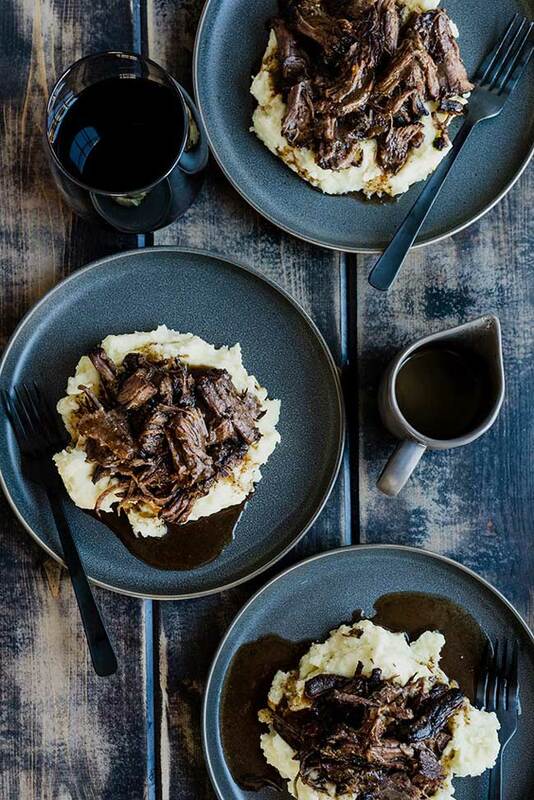 RED WINE POT ROAST – Our Salty Kitchen | During the colder-weather months cranking up the oven to slow cook a comforting dinner is one of the best ways to feel cozy on the weekend. 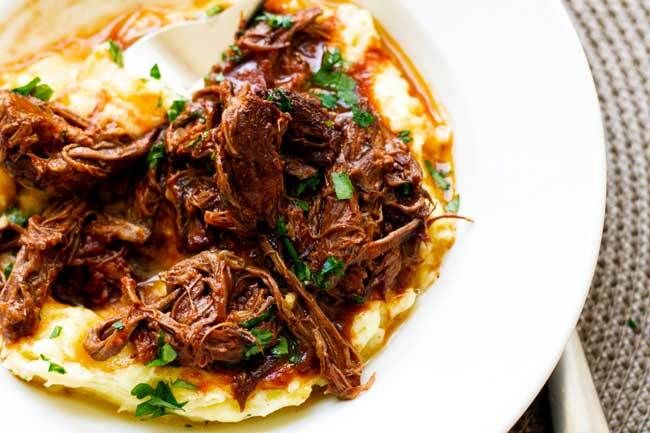 This red wine pot roast doesn’t take much time to prep leaving you with plenty of hands-off time to curl up on the couch with a book before it’s time to sit down to dinner. 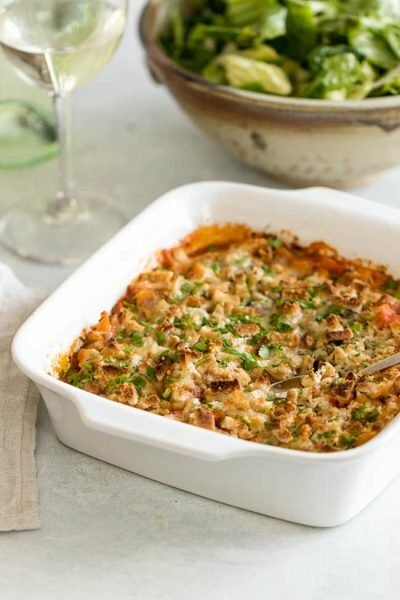 TUNA NOODLE CASSEROLE – Strawberry Blondie Kitchen | Many of us have childhood favorite recipes that take us back to those simpler days with just one bite. 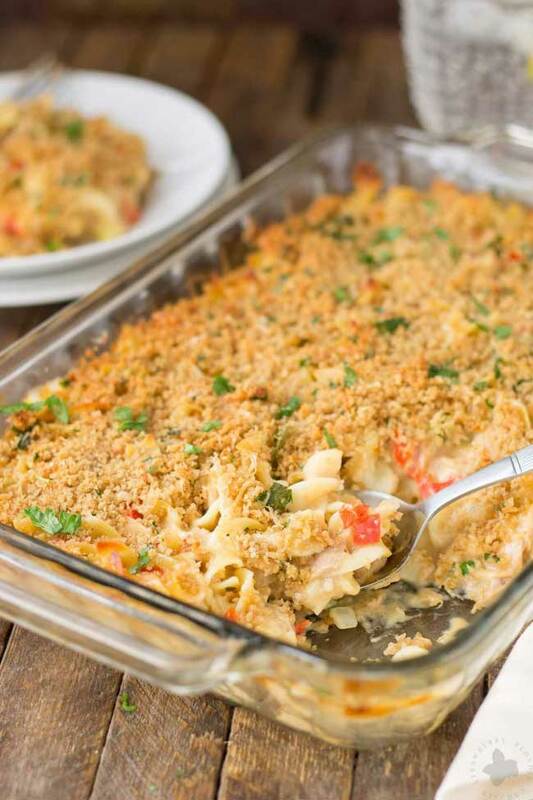 For me, tuna noodle casserole tops the list – it was always a favorite growing up. This version is lightened-up a bit and can easily be made ahead and kept in the freezer making it a great dinner to take to someone who needs a little comfort. 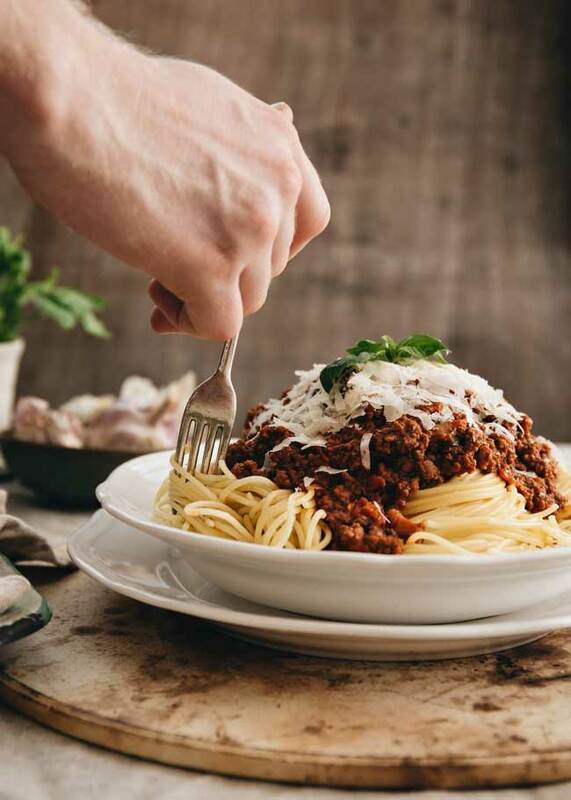 SPAGHETTI AND MEATBALLS – Girl Gone Gourmet | And about those childhood favorites – spaghetti and meatballs is high on the list, too. I used Marcella Hazan’s soaked bread method to make these meatballs which makes them soft and juicy. 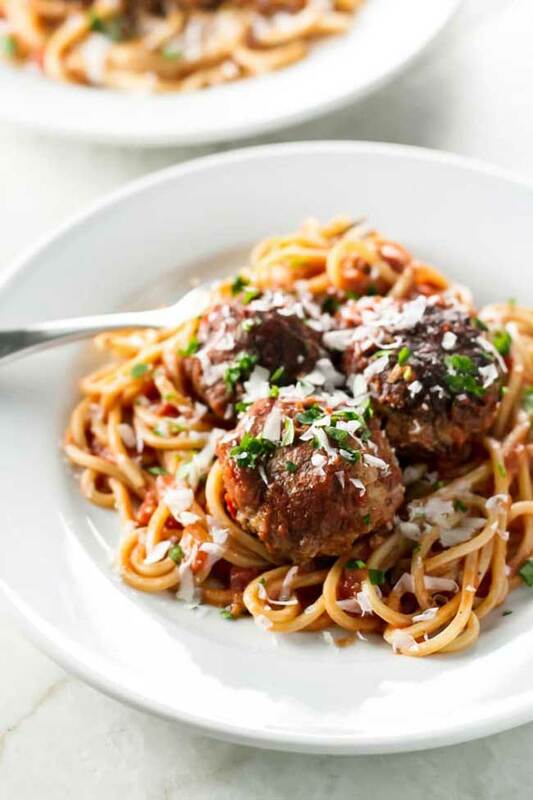 Piled on pasta with plenty of sauce and cheese these meatballs are so, so good. 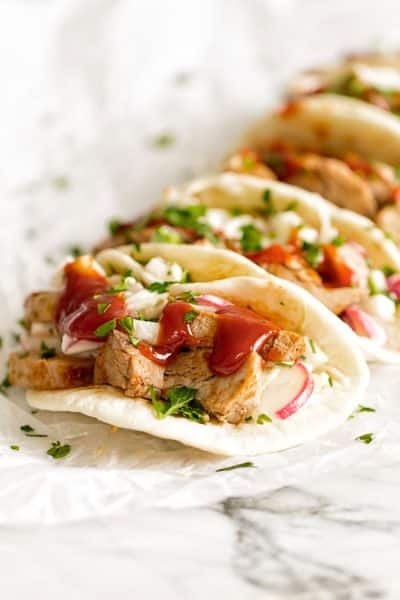 SLOW COOKER PORK CHOPS – The Seasoned Mom | Here’s another easy prep recipe, but this time it all simmers away in a slow cooker. 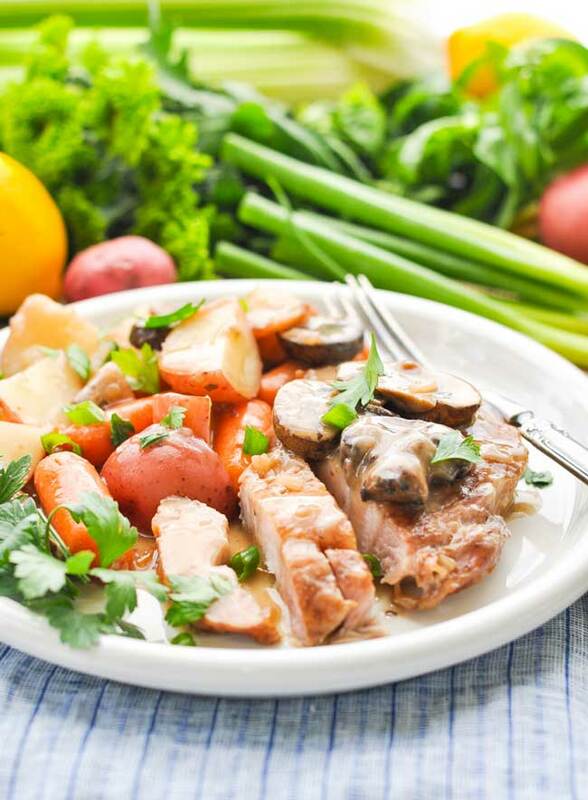 I love that this pork chop dinner balances a rich and decadent mushroom gravy with a pile of good-for-you veggies. 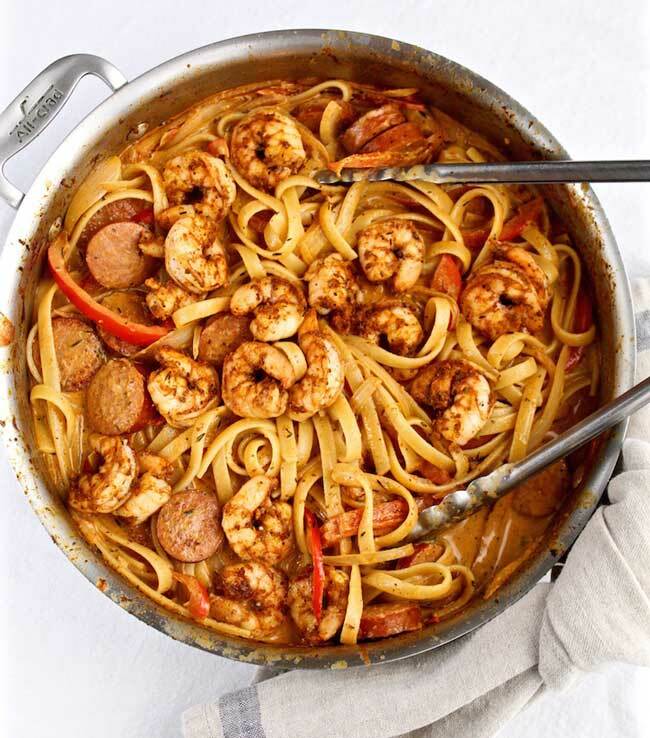 CREAMY CAJUN SHRIMP PASTA – The Hungry Bluebird | Blackened shrimp, andouille sausage, and pasta in a creamy cajun-spiced sauce. No need to head south to get this comfort food fix, Kelly has all the details so you can make this at home. 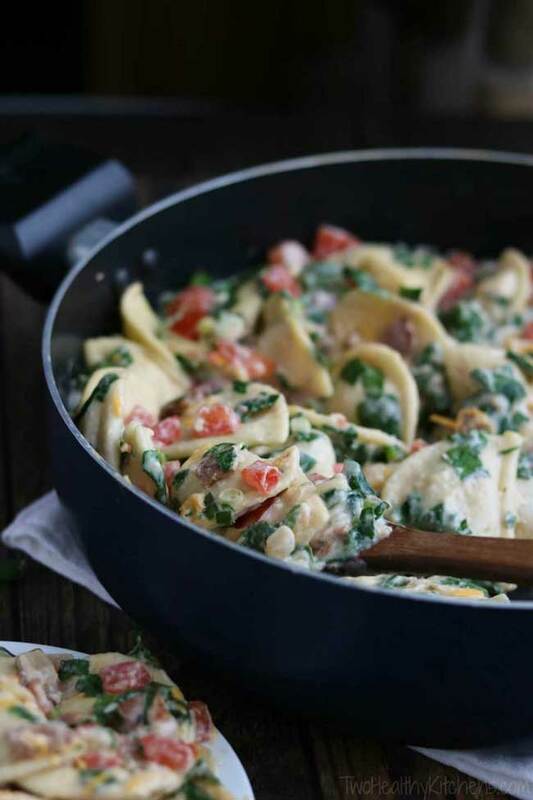 CHEESY BLT PIEROGI SKILLET DINNER – Two Healthy Kitchens | Pierogis are dumplings that are filled with all sorts of things, in this case, cheese, and are to Eastern Europe sort of like what tortellini is to Italy – a delicious excuse to stuff dough with all sorts of tasty fillings. This dish has an American twist borrowing from a classic BLT sandwich resulting in a creamy one-pan dinner. P.S. Look for pre-made pierogis at the store – I know I’ll be adding some to my shopping list. 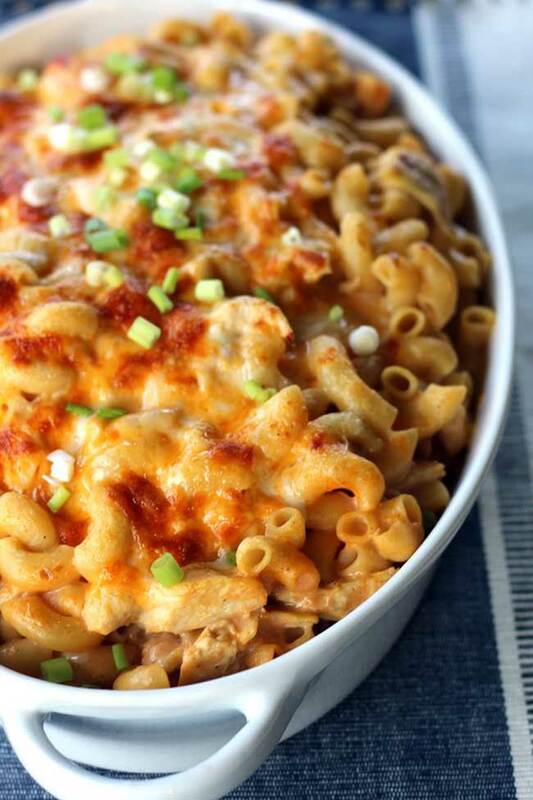 BUFFALO CHICKEN MAC AND CHEESE – Sugar Spun Run | No list of comfort food favorites would be complete without a macaroni and cheese recipe. I love this buffalo chicken version that brings two savory treats together as one – it’s like buffalo wings baked pasta-style. SLOW-COOKED SHORT RIB RAGU – Girl Gone Gourmet | And here we have one of my all-time favorites: short rib ragu. Short ribs simmer in a simple sauce for hours in the oven until they are falling-apart tender. Serve them over parmesan mashed potatoes for a top-rate comfort food experience. Autumn is definitely one of my favorite seasons, something about the chill creeping in and having one bowl comforts under blankets with something on tv really brings on the cozy!